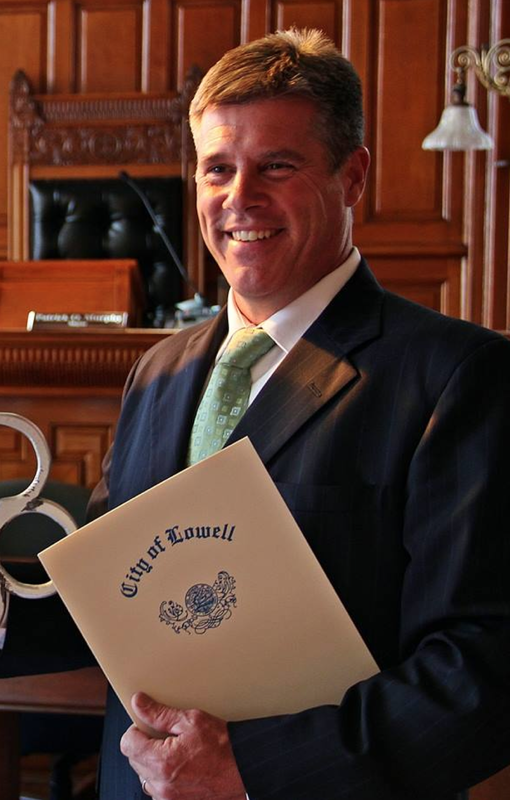 John Leahy joined the Lowell City Council in 2012, after having served on the Lowell School Committee for a decade. Having owned and operated Leahy Painting for more than 25 years, John spends his days working in every corner of the city, an experience that has given him an intimate knowledge of the city’s people and neighborhoods. Known for being accessible and eager to speak to any resident with concerns, John has focused on quality of life issues in the neighborhoods such as public safety, paving, the removal of double poles, and providing recreation opportunities, as well as continuing the focus on providing a quality public school education. As a businessman, John understands the issues facing small business owners and is committed to increasing economic development opportunities in the city’s downtown and neighborhood business districts. John is currently serving as the city’s Vice Mayor. He chairs the City Council’s Neighborhood Subcommittee and Environment Subcommittee and is a member of the Transportation, Parks and Recreation, Housing, Arts and Culture, and Downtown Redevelopment subcommittees. Born and raised in Lowell, John is a graduate of Bishop Guertin High School and UMass Lowell and lives in the city’s Belvidere neighborhood with his wife Joni and their three children: Delane, Madeline and Jack. He has served on many boards and civic organizations including Celebration of Life Jamaica and Lowell Mental Health. John has coached for Lowell Youth Soccer, Shedd Park Baseball and Lowell Lacrosse.